Prototype: Henschel type DHG 700 fictitious diesel switch engine and 3 container flat cars painted and lettered for the German Railroad, Inc. DB AG, loaded with different containers. The container transport car and the different types of containers are new tooling made for children. Locomotive includes a warning light and sound functions. 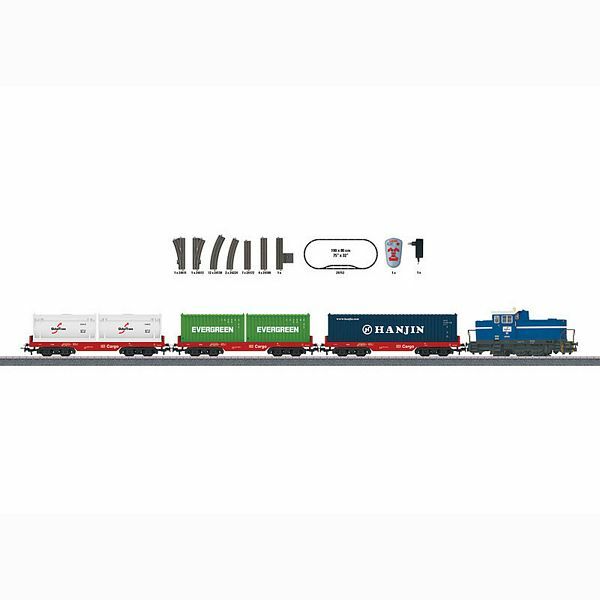 The 78452 theme extension set, the 44452 car set, the 44700 car, and the 72452 container terminal are ideal for expanding the theme world of container logistics.